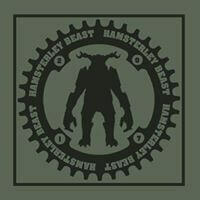 The Hamsterley Beast – A 40 mile non competitive mountain bike ride in Hamsterley forest, Co Durham raising much needed funds for the Great North Air Ambulance Service. The 2016 event sold out and saw over 350 riders descend on the forest to tackle the beast and raise an incredible £17,500 for the charity. This year the event was opened up to 500 competitors one of those was Julie-Ann Johnson, here’s how she got on. Still full of beans after the Redbull Fox Hunt in 2016, my first ever MTB event which was a competition win, I vowed I’d set myself a few MTB goals for 2017. Those goals were The Ard Rock and The Hamsterley Beast 40 miler, two very different events but both still challenging. Well it seemed like a good idea at the time but as those ‘beans’ finally disappeared as I thought to myself “what the heck have I let myself in for”. My fella (Lee) and friends (Mat, Jo and Lisa) who I’d persuaded to enter weren’t full of confidence either! The run up to event day was interesting to say the least. I enjoyed a ‘new bike day’ receiving my YT Capra at the end of October and set about shredding as many downhill parks as I could in the meantime. Possibly too much shredding as the rear shock blew and needed some major TLC back in Germany… hmmm, so no bike I hear you say? Thankfully I didn’t have the heart to sell my little pocket rocket Specialized Myka. Did I train before the big day? I would like to call it a sociably relaxed training programme comprising of lots of MTB outings with the fella and friends always ending in a pub/cafe with a pint or a piece of cake. Through the joys of social media I found Café Adventure in the Hope Valley run by a lovely couple Rachel and Billy who are also keen mountain bikers, arranging midweek outings which start from their café. Rachel arranges ladies only rides and by attending many of these I’ve met some amazing ladies along the way whilst adding mileage to my ‘training programme’. My so called training came to an abrupt end when my Myka didn’t feel quite right. Only thinking it needed a new bottom bracket it turned out to be a lot more; new bushes in the suspension set up… ah crap! So I had a poorly Capra and Myka. The Friday before event day was a happy day. I received the shock for my Capra and I got a phone call from the bike shop to say my Myka was ready to go, talk about cutting it fine! Even though I was so happy to have both my bikes up and running again I was mindful that I’d not been on a bike for about 2 weeks. We stayed in a lovely B&B in Hamsterley, Ladywell House B&B, and took full advantage of the full English breakfast and about 4 coffees. Nerves started to kick in slightly, or was that the coffee, when we arrived at the car parking area and everyone getting ready with some beautiful bikes on show. We had a short walk to registration and in passing I had a look at the 40 mile map and immediately wished I hadn’t because just as I approached the rather large map a guy was saying to his mates “and this bit here is f@&king awful”, it definitely wasn’t the coffee! I made the decision to use my specialized steed because she’s a good climber and I needed all the help I could get. Riding up to the starting area to meet my friends and seeing so many other bikers the nerves went up a notch, I’ve never appreciated a port a loo like I did at that moment. The atmosphere was amazing and seeing the air ambulance helicopter fly overhead really put things into perspective for me… you’re doing a 40 mile MTB ride for charity and you need to complete it!! I’m not a confident person and it was the first time it really dawned on me, what would happen if I didn’t complete it? Thankfully we set off promptly allowing me no time to dwell. The 40 miles in my head is a bit of a blur and I can’t fully remember what came first… ah, oh yes I do, a fire road heading up, it’s all coming back to me now! I remember thinking to myself that a lot of people were passing me and I was already starting to overheat now the sun had broken through. The pace felt quick and again I started to doubt myself. Already our group was breaking up and the boys went ahead whilst us girls stayed together. I enjoyed the first decent through the trees. It was still wet from the rain we had through the night so in places the ground was muddy, boggy and slippery. To add to the carnage the trail was still busy with fellow bikers and a mountain bike conga line was soon formed. The conga continued to the next climb which was steep and rocky. I managed to glance a smile at the photographer but inside I knew this was going to be a slog. There were a lot of people pushing their bikes mid-way and I have to say I joined them, it was nice to chat to others which helped to take my mind off the pain the push up was creating in my calves. This is where things get a little hazy but what does stick out in my mind was the very rutty descent through the trees, which would have been totally un-rideable if it was wet. Thankfully it was dry, fast but technical in places and a track you needed to think quickly on because of the amount of lines to choose from. This was followed by another steep rocky climb through a gate where a lot of people stopped to refuel and remove various items of clothing, it had turned out to be a glorious day. Jo was just behind me but we’d lost Lisa… sorry Lisa. From this point it went out onto moorland. The views were stunning and the ground was dry. The heather was thick and at times the trail was narrow so I had to really concentrate not to get my pedals caught. The elevation through the moorland was mentally and physically draining. The climbs on the gravel fire roads seem to go on forever and the head wind made it even more difficult to keep pace. At times I felt my legs were going round and round but I wasn’t getting anywhere. Jo was struggling with lower back pain and together we weren’t feeling optimistic. We stopped at the first station where we enjoyed some lovely short bread but unfortunately they had already run out of water. I just hoped I had enough water in my camel back until the next stop. When we reached the tarmac road I felt relieved. We met Paula, who I’d met on a MTB holiday in the Lake District in 2016, who thankfully had some pain relief that Jo could have. After a quick refuel and catch up we carried on. I was thankful for the long gravel fire road descent, taking care on the corners. I laughed to myself remembering earlier in the ride a guy going way too fast on a gravel bend skidding off, clipping a Hamsterley beast sign and finishing up down a grassy ditch… he was OK! We had visited Hamsterley three weeks previous to the event to get an idea of what to expect and when we dropped down a fire road to a bermy section I recognised I couldn’t contain my excitement. Jo let me go ahead and I didn’t argue. It was as much fun as I remembered the first time I did it. The little rock drop off leading to another big berm section felt amazing, whooping as I went getting a return whoop from the photographer. What made it even better was the next section was open also. At times I felt a little out of control on the big table tops and fast berms and I needed to reign myself back in. I could tell I was tired and I didn’t want to make a silly mistake this far into the event. The beast took in some of the fun descents of the Hamsterley red trail and again knowing what was ahead of me lifted my spirits a lot. I stopped to say hi to Michelle and Dawn who formed the MTB Chix and Trails Facebook page. I felt I knew them really well but they didn’t know me and I had to introduce myself. If it wasn’t for their page and the fabulous ladies who share their experiences on there I wouldn’t have known about the Beast or the Ard Rock events so a big thank you goes out to them. We still had a few climbs to conquer but we were never alone and for a while we rode with a couple of guys who said they’d entered the beast last year. We laughed a lot as we pushed our bikes up another brutal hill about being abruptly introduced to one other when one of them went over his handle bars, crashing into us when we moved over to let them by. Hearing the music, the hustle and bustle of the finish line from the top of last descent was lifting and Jo and I couldn’t help but smile at one another. I was so exhausted and the final descent felt so challenging but as it spits you out at the bottom I couldn’t help but laugh. That final right turn over the line to the main area was a mixture of emotions for me. Exhaustion, relief, happiness and pride. I’d never ridden 40 miles on a mountain bike before but today I achieved it and for a great cause. Lee and Mat had done well and were waiting for us at the finish line. All I could think about once finished was food, fizzy pop and alcohol. Jo treated us to a lovely veggie bean chilli which we enjoyed sat on the grass in the sunshine. The alcohol had to wait as it was back at the B&B, poor organisational skills on my behalf! Lisa came in not long after us and the first thing she said was “you didn’t tell me there was a 20 mile option” oops! I think she enjoyed it really. After a hot bath and a couple of ciders we reflected on our day. At times I thought I’m not doing this ever again but once refreshed and our batteries partly recharged the thought of entering next year didn’t seem so bad. What have I learnt from this experience? Better fueling for definite. If it wasn’t for Jo having a bag full of energy gels I think I would have flaked. I had some energy bars but it wouldn’t have been enough. Should I have taken my training more seriously? Possibly, but I do believe that if you push yourself too far and the training becomes more of a ‘must go out’ rather than a ‘want to go out’ the enjoyment disappears and so does your motivation. At the end of the day we all have bikes because we enjoy being out on them, making great memories and meeting great people along the way. My mountain bikes are my emergency escape routes in life and I don’t ever want to lose sight of that. If you’d like to make a donation to the GNAAS you can do so at Julie-Ann’s Just Giving page.